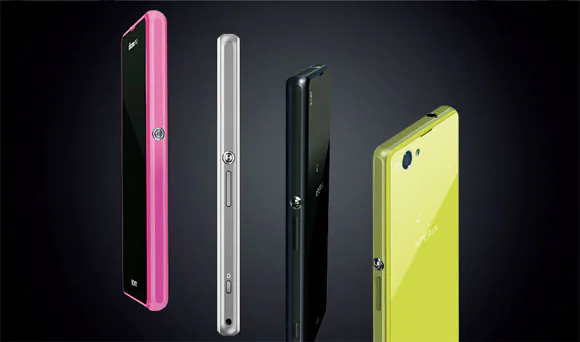 It looks like the international variant of the Sony Xperia Z1f aka the Xperia Z1 mini might be a real deal after all. It has recently been reported that Sony has scheduled an event for 12 November 2013 in Shanghai, China, where the company will unveil not only the Xperia Z1S, but also another mysterious device codenamed Xperia Taichi. The Xperia Z1S is supposed to be the same as the X1F that was announced in Japan just weeks back, a 4.3” 720p version of the existing Xperia Z1 camera phone. Apart from a smaller size and a smaller battery, the Z1F/S packs all the same goodness under its hood like the 20MP rear camera with G Lens, 2.2GHz quad-core Snapdragon 800 processor, 2GB of RAM, and a water and dust proof construction that is made out of glass and aluminum. As for the Xperia Taichi, according to rumors, it’s the company’s mid-range phablet device that comes with a 6” 720p display and will be the first to run on a true octa-core processor from MediaTek. As usual, take this with a pinch of salt, the rumor was leaked out from a Chinese source with no official invitation so it could very well be just only a rumor.